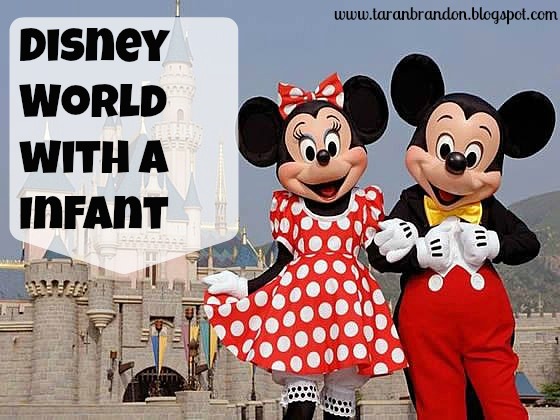 Disney World With A Infant | the every things. we would make the best of it! First stop was a character "daisy duck"
not only did she write how cute my baby was, she took the time for Kennedy to feel her mouth & fur ect. Next we started walking & saw Ariel! Now Kennedy was sleeping, but my niece who just turned 4 was not. This doesn't have anything to with do with an infant but I really want to touch on how going to Disney is for a family vacation for ALL ages, & I know some of my followers have older children. She was a bit shy/grumpy. This women took so much time with EACH child. she was talking with my niece trying to get her to open up, asking if she could she Flounder in the pond ect. I guess I didnt remember from when I was younger. even if they were sweeping the street I would hear "Happy Anniversary"
If going during summer months, utilize the small fountains around to cool off! Next was our first ride! but she could ride all rides but the real rollercoasters, in my lap! Investing in a stroller fan is something you should consider! one thing that burned my biscuits was not being able to bring your stroller really anywhere! I forgot my carrier &; had to hold her thru 45 min lines which was no fun for me or her! Which does bring me to Universal Studios which has a thing called child swap. You can wait in line the whole 45 mins while dad,momma or grandma is waiting in this section. Once you go on the ride, you can go & watch baby or take baby on the ride although universal only had one baby friendly ride I could find which was the carousel! If you are thinking of a vacation & thought Disney maybe no right for your family because your baby is too young. You may want to think again. Next up: Flying with an Infant! Thanks for this. I really want to take Elliot to Disney World but wasn't sure how young was too young. I'm so glad you had a good time!! Looks like so much fun! I can't wait to take Piper someday! Thanks for another wonderful post. Where else may just anybody get that type of info in such a perfect method of writing? In fact when someone doesn't understand afterward its up to other people that they will assist, so here it happens. but I'm still new to everything. Do you have any tips and hints for beginner blog writers? I'd definitely appreciate it.